Gentle and kind to skin, these fresh ingredients combine to soothe, protect and moisturise tired hands. This brand is an unashamed copy of Molton Brown but their products are considerably cheaper though. Not sure about their animal testing policy but this does a good job and is easily absorbed into my hands. For the price it looks and feels as though it costs more. this is one I keep down stairs for anyone to use if they need to and everyone comments on how nice it smells. It is not thick and so not good if you have really dry or chapped hands but for everyday it is fine. Not a bad hand lotion but there are better around that have better effects. 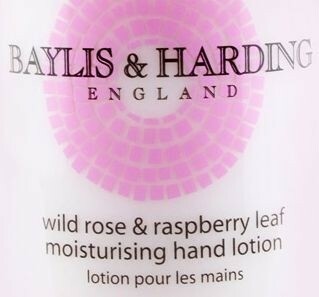 Works well and leaves hands quite moisturised. A nice pleasent scented hand cream,has a very girlie fragrance. Its ok, but its cheap so keep that in mind. I find the lotion is watery and does not absorb too well. "This brand is an unashamed copy of Molton Brown but their products are considerably cheaper though. Not sure about their animal testing policy but this..."